According to Deadline, Marvel Studios is having “backchannel conversations” with Disney about rehiring fired “Guardians of the Galaxy” director James Gunn. Marvel is reportedly trying to find a compromise with Disney. The conversations come after the entire “Guardians” cast released an open letter in support of Gunn. Marvel Studios reportedly wants “Guardians of the Galaxy” director James Gunn back, and is trying to persuade its owner, Disney, to make it happen. According to Deadline, citing anonymous sources, Marvel Studios is having “backchannel conversations” with Disney to persuade it to rehire Gunn, who Disney fired last month from directing “Guardians of the Galaxy 3” after conservative personalities resurfaced old offensive tweets from him. Deadline reported that Marvel was seeking a compromise in bringing Gunn back for the third instalment, which he recently finished the script for and had planned to start shooting later this year for a 2020 release date. The report comes after the entire main “Guardians of the Galaxy” cast recently released an open letter in support of Gunn. Many of them, including Zoe Saldana and Chris Pratt, have publicly voiced that they want to see Gunn rehired. Dave Bautista, who plays Drax in the movies, has been the most vocal against Disney, and even threatened to quit “Guardians 3” if Gunn’s script isn’t used. He also tweeted that it was “nauseating” to work for Disney given the situation. With that kind of pressure, it’s not surprising if Marvel is having these conversations with Disney. 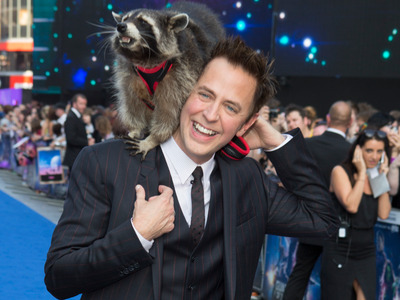 Gunn’s two “Guardians” movies made over $US1.6 billion worldwide combined and were beloved by both critics and fans, making him a big loss for the studio. But Variety also recently reported, based on anonymous sources, that Disney had no plans to rehire Gunn. It may take a lot of convincing on Marvel’s end for Disney to change its mind.